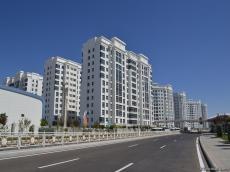 A representative of the Turkmen Ministry of Finance and Economy will take part in an expert group meeting of the CIS Executive Committee, to be held in Minsk Feb. 12-13, Trend reports with reference to the Belarus Embassy in Turkmenistan. Turkmenistan is represented by Galina Romanova, head of the State Finances and Economic Policy Department of the Turkmen Ministry of Finance and Economy. The expert group will work to adapt the 2007 Concept to modern realities within the evolutionary improvement of the CIS. Turkmenistan is chairing the CIS this year.